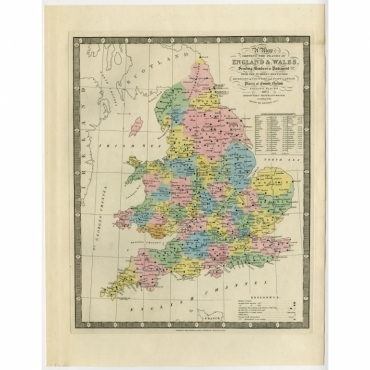 Our online store includes many antique maps of Western Europe. 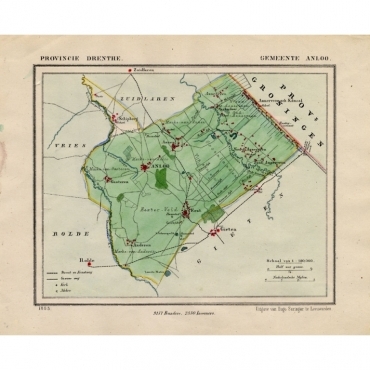 Bartele Gallery offers antique maps of Belgium, antique maps of the Netherlands, antique maps of Germany, antique maps of France, antique maps of Luxembourg, antique maps of Ireland, antique maps of the United Kingdom and antique maps of Monaco. 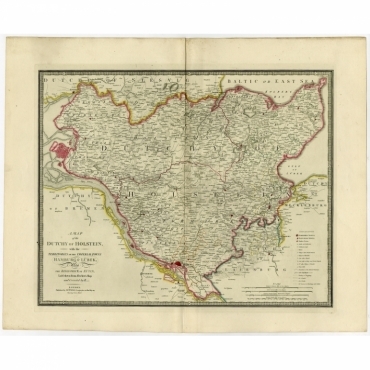 Our antique maps of West Europe reflect the history of this region of Europe and the historical divisions. In onze online winkel vindt u veel antieke kaarten van West-Europa. Bij Bartele Gallery kunt u terecht voor antieke kaarten van België, antieke kaarten van Nederland, antieke kaarten van Duitsland, antieke kaarten van Frankrijk, antieke kaarten van Luxemburg, antieke kaarten van Ierland, antieke kaarten van het Verenigd Koninkrijk en antieke kaarten van Monaco. Onze antieke kaarten van West-Europa weerspiegel de geschiedenis van deze regio van Europa en de historische verdeling. 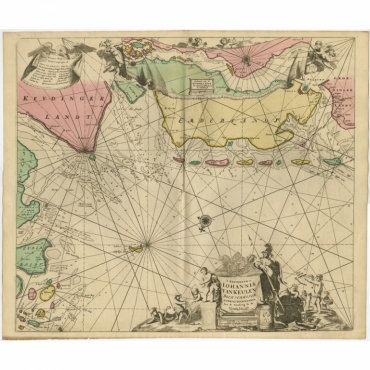 Antique Maps | West Europe There are 753 products. 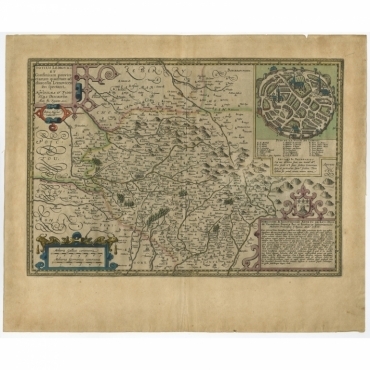 Antique print, titled: 'Map of the Duchy of Holstein with the territories of the Imperial Towns Hamburg & Lubeck (…) Based on a map by Fischer.' 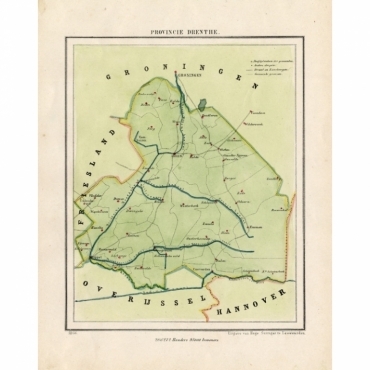 - Map of Northern Germany including Hanover, Oldenburg, Lippe, Bremen, Hamburg and Lubeck. 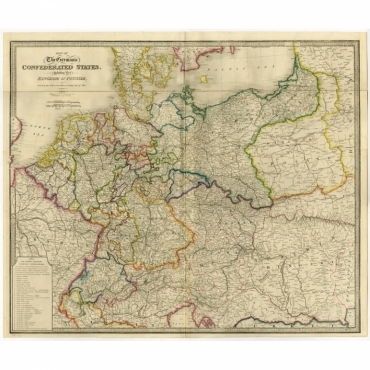 Antique print, titled: 'Map of the Germanic Confederate States, including the Kingdom of Prussia.' - Large map of Germanic States including Germany, Netherlands, Belgium, Poland, and Switzerland as set by the Act of Congress in 1815. Antique print, titled: 'The Kingdom of France, describing the new limits according to the treaty of Paris. 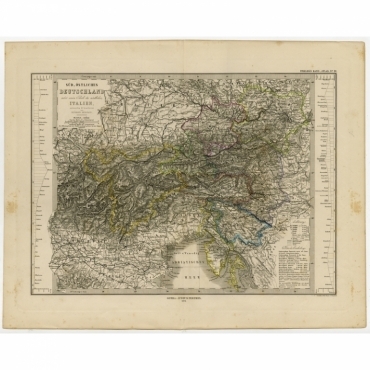 (1815)' - Large map of France. 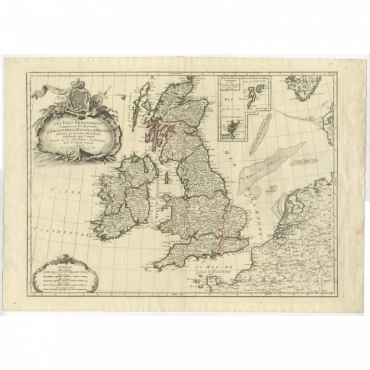 Antique print, titled: 'Scotland with its Islands, drawn from the Topographical surveys by James Wyld.' - Map of Scotland. With an inset map of the Shetland Islands. 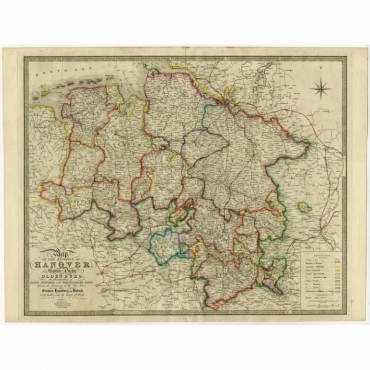 Antique print, titled: 'Map of the Kingdom of Hanover, with the Grand Duchy of Oldenburg, the principalities of Lippe Detmold and Schauenburg Lippe (…)' - Map of Northern Germany including Hanover, Oldenburg, Lippe, Bremen, Hamburg and Lubeck. 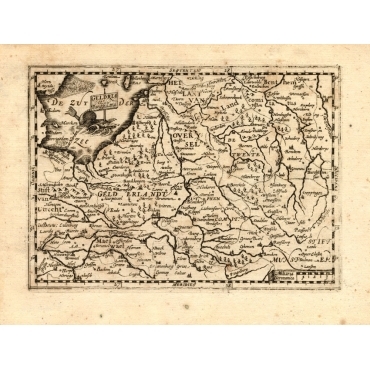 Antique Map, titled: 'Sud-Ostliches Deutschland nebst einem Theile des nordlichen Italien.' - Map of Southern Germany, Austria, part of Switzerland, Northern Italy and Slovenia. With a height profile section in the left and right edges of the map. 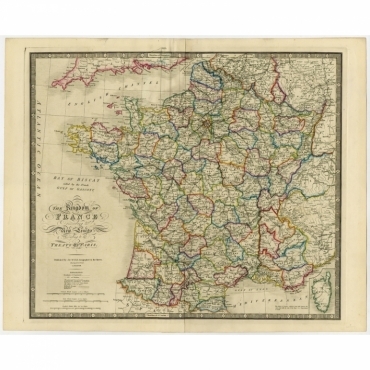 Antique Map, titled: 'France in Provinces' - A map of France divided into provinces. A small inset map in the lower right shows the island Corsica. 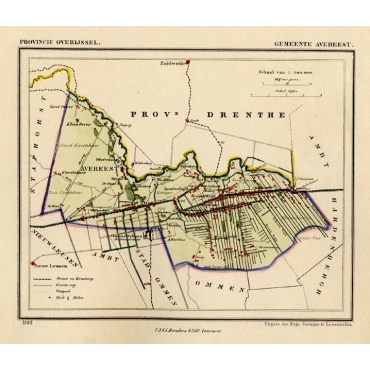 Plan of Franeker (Franicher) in the province of Friesland, The Netherlands Holland. Drenthe: Gemeente Anloo, Eext, Gasteren, Annen, Schipborg. 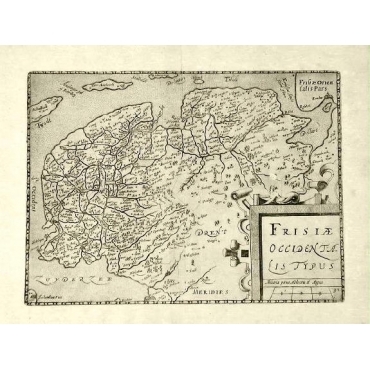 Antique print, titled: 'The Prussian Government of Stralsund, formerly Swedish Pomerania. (…)' - Map of Stralsund and Rugen with an inset map the city of Stralsund. Based on a map by F.W.C. Baron Schmettau, Major General. Antique print, titled: 'Paskaarte van de rievier de Elve streckende van Oldenbroek tot Hamburgh.' 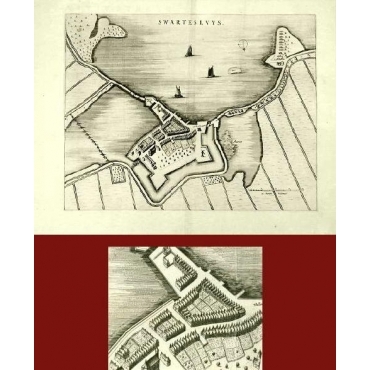 - Rare and interesting chart of the German Watten islands and the North Sea. Above the Elbe river from Oldenbroek to Hamburg. Beautiful large cartouche with scale below. Also another cartouche with key and a compass rose. Antique print, titled: 'Totius Lemovici et Confinium (..).' 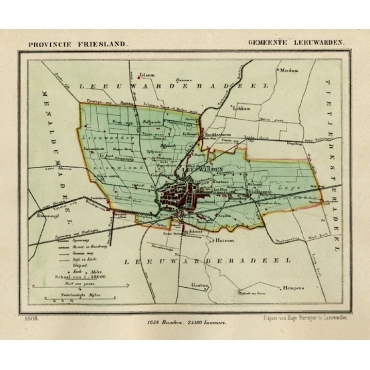 - A handsome and detailed map of Limousin/Limoges, prepared by the well-known engraver, Petrus Kaerius. With an insert view of Limoges at top right. Two strapwork cartouches and scale.